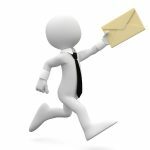 We can provide you with a competitive driveway quotes from our database of paving companies around the UK. 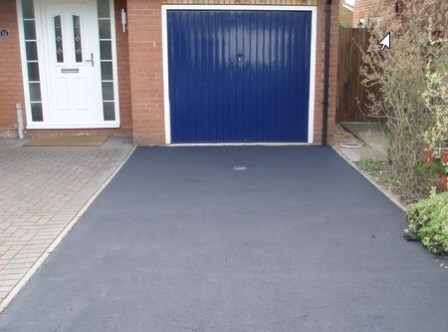 Whether you are looking for a brand new driveway at your home or to refurbish an existing one, this service is completely FREE. 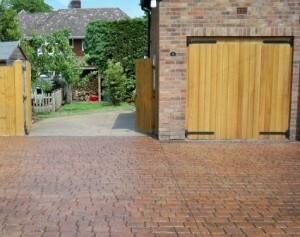 Thinking of improving your driveway? Or perhaps you need more parking space? 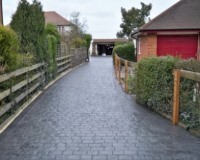 Whether you are looking for a new block paving driveway, a pattern imprinted concrete driveway, a red tarmac driveway or a resin and aggregate driveway, we can provide competitive driveway quotes from local paving experts in your area. We have access to some of the largest databases of paving installation companies in the UK. These paving companies are all experts in their own field and you can request up to three driveway quotes with No Obligation to buy. We recommend that you speak to several different paving companies to take advantage of the advice and design alternatives they will suggest. The more research you do into the different types of paving and their suitability to your requirements, the happier you will be with the end result – a perfect new driveway to suit your home and garden. Requesting a Block Paving Quote from the Paving Prices website is the first step to improving your driveway. We can arrange up to three block paving driveway quotes from expert paving companies local to you. You can request detailed design drawings with full specification and an explanation of the costs, but there is strictly no obligation to buy. Block paving is fast becoming the paving product of choice for UK householders due to the wide range of colours, sizes, textures and design layout possibilities. Pattern Imprinted Concrete is an attempt to represent natural stone paving in concrete. It is formed by colouring concrete before it fully sets and creating patterns in the surface with printing mats. These patterns resemble the joints and textures of a natural paving surface such as sandstone, limestone, slate, cobbles, setts or even grained timber boards. Pattern Imprinted Concrete Driveway quotes should include a scale drawing of the area, details of the structure of the driveway, where drainage channels will be incorporated and naturally, the proposed patterns and colours of your new driveway. It is customary to have a brick effect border effect printed into the concrete to resemble a natural stone driveway or a block paved driveway. 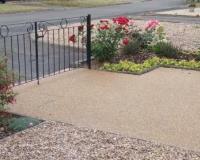 Tarmac is an ideal paving product to create a durable and long lasting domestic driveway. And it doesn’t have to be an unattractive plain black surface as tarmac is easily enhanced with block paved borders and feature inlays. 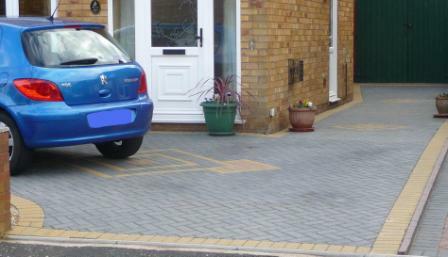 Also, with the advent of coloured tarmac you can choose to have a driveway which is both durable and attractive. Coloured tarmac is available in red, buff, green and blue with coloured aggregates and pigments. 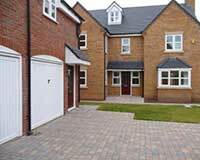 Installing a tarmac driveway is a specialist job installed in several layers. A stone sub-base, a tarmacadam binder course and a hard wearing course of bitmac must be compacted properly using specialist machinery. Resin and Aggregate Paving is a relatively new product and provides a very attractive and durable alternative to block paving and pattern imprinted concrete. 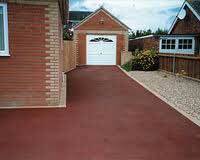 Coloured aggregates are bonded to your existing driveway surface to give the appearance of a gravel driveway without the disadvantages of loose gravel. 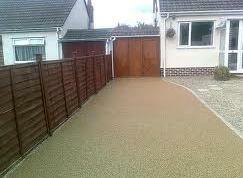 As Resin Bound paving, it is also porous, so is ideal for sloping driveways which need to deal with rainwater run off. Resin and aggregate paving uses naturally coloured aggregates so you do not need to worry about discoloration or fading of your new driveway.